Back in the late 2000s, we began working with a client in the science industry after forming our initial relationship through mutual business partners. Innova Biosciences was emerging as an innovative start-up in the bioscience sector, and with their offices based in Cambridge, they were right in the heart of a growth area both geographically and industrially. Innova Biosciences was founded in 2002 to manufacture labelling reagents, and they offered products based on its antibody and protein labelling. Since they started production, Innova have developed into industry leaders in their field, shipping their products globally. As their business has grown, so has our involvement with their development. Innova’s growth led to a need for their online presence to expand with them. Our relationship has moved from developing their first website and online store in 2009. Innova first needed a way for their customers and clients to be able to get the products they needed quickly and efficiently, and we now manage the development of their responsive website, with a fully functioning e-commerce platform and marketing integration. More recently, in 2017, Innova Biosciences was acquired by Expedeon, and here at 23ccc we continue to work closely with the team under its new structure. Through collaboration with Innova’s and in turn Expedeon’s sales and marketing team, our job was to take this growing brand, and present it online so that current and potential customers could find the products and information they needed. The main resource for displaying the products that were developed by Expedeon, along with repositories for all of the supporting documentation. Included in the site were images, diagrams, videos and documents providing visitors to the site all of the information they needed about the products Expedeon sold. The current website is built on a custom content management system (CMS). This allowed us all the flexibility to develop a bespoke website that reflected a growing company both in look and feel. 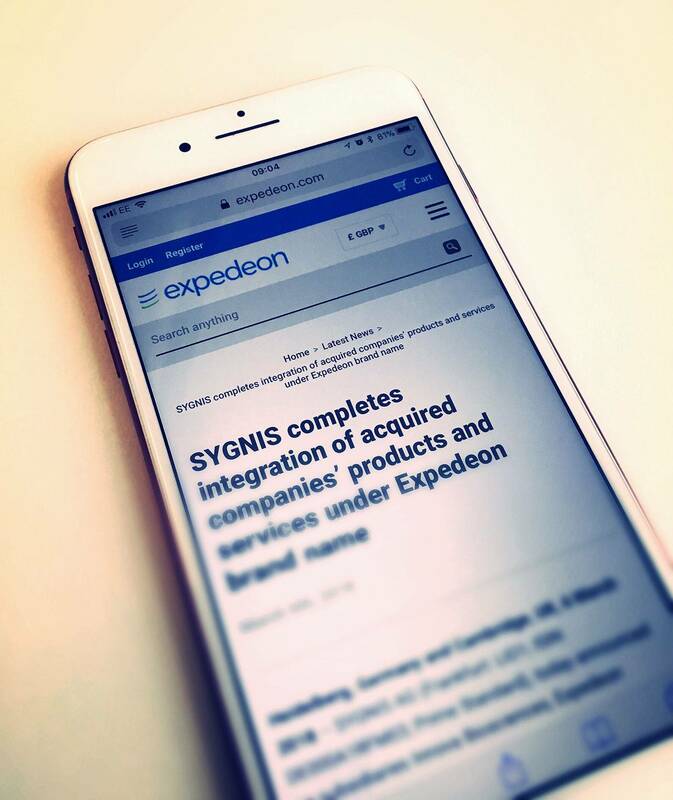 Functional and adaptive, this site development brought Expedeon’s online presence completely up to date, and the website is fully responsive, maintaining the same look and feel regardless of the type of device it is seen on. 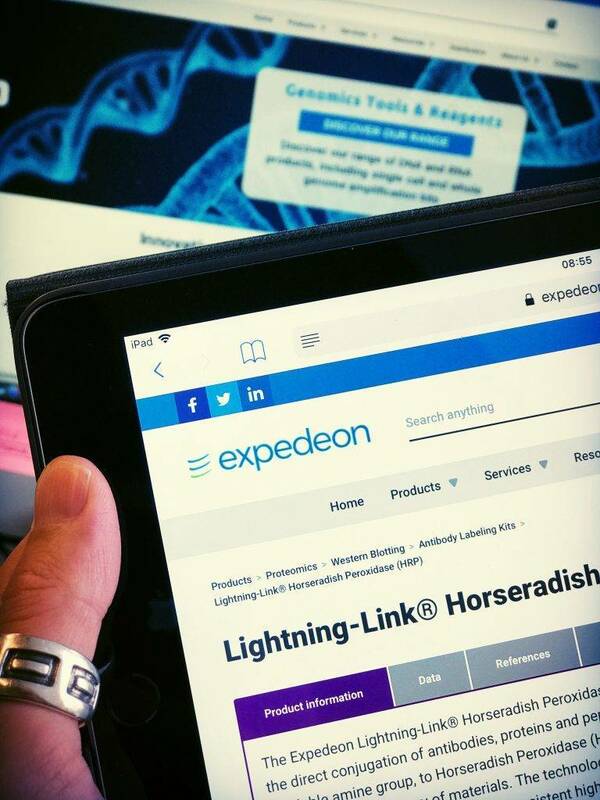 To facilitate the continued growth, Expedeon also required a robust solution to be able to fulfil orders placed online. To complement the custom CMS, we developed an online store to keep up with the increased sales growth. 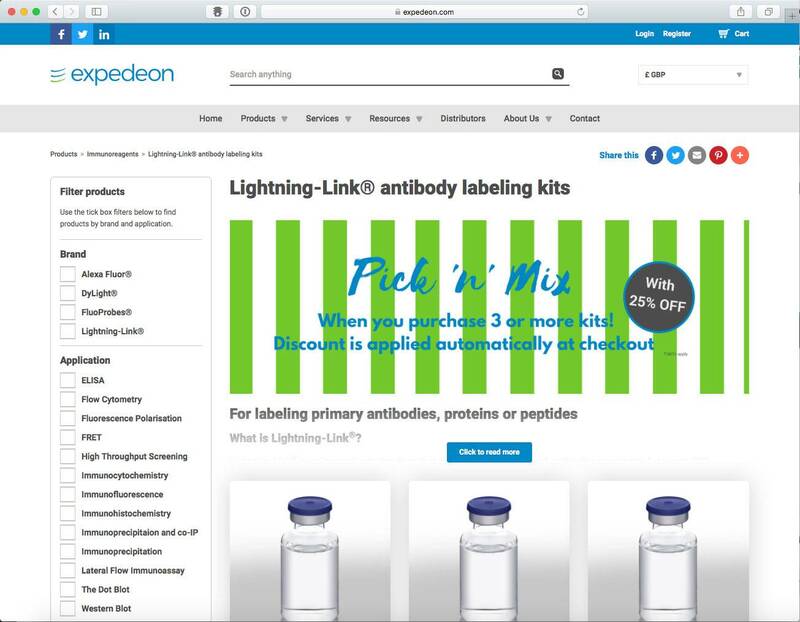 Developing the online store, complete with 1000s of SKUs was an integral part of the overall site development as it allowed Expedeon complete control of their sales, ordering and stock management. To manage customer transactions, the website development includes end-to-end encryption to give consumers peace of mind. There is also PayPal integration to gives consumers an additional layer of protection should they choose not to use a credit card. To complete the sales side of the site, we managed the integration of the stock updates from Sage 200, to Salesforce and onto the front end of the website – a fully integrated development that is flexible enough to grow with the business. Expedeon also wanted to make full use of the visitor data collected from their new development. Connecting the newly completed site via an API to Pardot – part of Salesforce – enabling the management of contact form applications and marketing automation. Through Pardot, Expedeon is able to retarget visitors to their website, and based on their actions and behaviours on the site, they will then be served ads with the aim being to retain and increase its buyer base. Innova were acquired on 2017 by Expedeon. In August of 2017, the new website was launched – still under the Innova livery – to much acclaim in the industry. After an initial bedding in period, we again came together, to add the Expedeon branding throughout the site. On the 1st March 2018 the newly branded Expedeon website was launched, combining Innova, CBS and Expedeon products. We look forward to continuing to work with Expedeon on future projects.